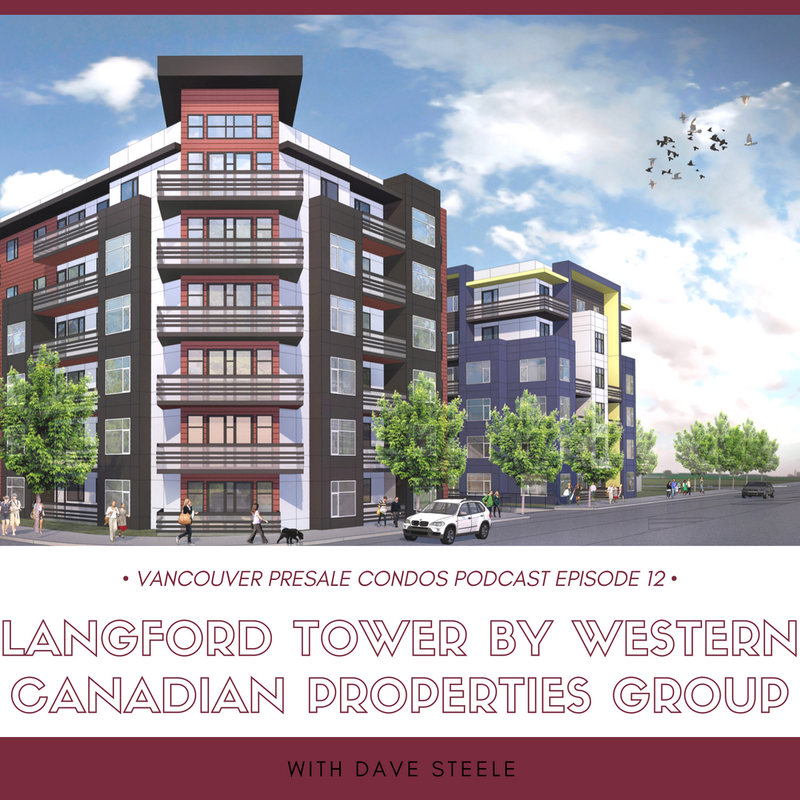 TOP FIVE REASONS YOU WANT TO BUY AT LANGFORD TOWER: (1) Langford is the fastest growing city in British Columbia (2) The annual population growth rate is currently 5% (3) The median household income is $80,000 which is higher than Victoria! (4) The average rent is $1,300/month and climbing (5) The vacancy rate is less than 2%. Don’t miss this opportunity to cash-flow positive in one of BC’s most up-and-coming cities. We bought the land in downtown Langford a few years ago. Langford is one of the fastest growing municipalities in BC within the last 5 years so we’re excited about the growth. Langford Tower is a six storey, 78 unit, wood frame building with nice and compact units. I’ve liked Victoria for a long time. We see a lot of people cashing out of Vancouver and moving to Vancouver Island or the Okanagan. Langford is the Surrey of Victoria. It’s affordable and it’s where jobs are being created. Langford has a very progressive mayor and city council that are wanting and allowing for development. Langford is an area of Greater Victoria that has remained affordable yet sees a high demand for rentals. The population in Langford has grown very fast in a short period and the rental development hasn’t caught up. What is the vacancy rent? It just crept a little over 1% but has been under 1% for the last few years. Rental vacancy is a big problem throughout the Victoria area. There are big employers, universities, lots of people moving in and not enough rentals. Is it true the median household income in Langford is higher than Victoria? That’s true! We’re getting a lot of the families who are priced out of new builds in downtown Victoria. It’s the same thing we see in downtown Vancouver where people will choose to move to Burnaby, New West or Surrey.So jobs are being created in those municipalities. What can we expect in terms of prices? The most expensive unit (top floor, corner unit) is in the $429,000 range for a two bed plus den just under 1000 sqft. One beds are starting at $269,000 and starting at $345,000 you can get a two bed one bath. You just can’t get this in Vancouver – this price for a brand new build and these rental rates. A nice two bed apartment in Langford will rent for $1800-1900/month, which is a much better cap rate than in Vancouver. It’s 15% down: 10% on signing and 5% on May 31, 2019. What are the strata fees? About 27 cents per sqft which is super affordable compared to Vancouver at 40-50 cents per sqft. The building is very well designed. There’s an even split between owner-occupiers and investors. We also have an organized rental program with a property management system in place for the entire building. The property management is very affordable ($60/month) and is an optional and hassle free way to handle your investment. Feb 15, 2020. The building is well on its way under construction. We’ve been doing this for about 30 years and have bought in just about every market in the US and Canada. We want to find the best markets – the markets where people are moving to and jobs are being created. Those are the high growth markets. We create a property management system that someone on our team oversees. Investors like it because they can buy new property in a high growth market and have the assurance of good and affordable property management. Is the Langford market only long term unfurnished rentals? It’s primarily a long term unfurnished rental market. There are some opportunities for short term rentals but it’s not something we do. Most people become more comfortable with the long term rental when they learn how solid the rental rates are and realize long term is less hassle. If someone is on the fence, why should they buy at Langford Tower? It’s brand new and the purchase price to rental rate ratio is probably one of the best you’ll find in any market in BC. If you research where the growth is you’ll see it in Langford and that’s not changing anytime soon. It’s the same growth and transformation as you see in Surrey. Langford is a progressive municipality that is ready and wanting growth and development.